Want to get away. Want to really get away? The East Coast of Tasmania is your destination. 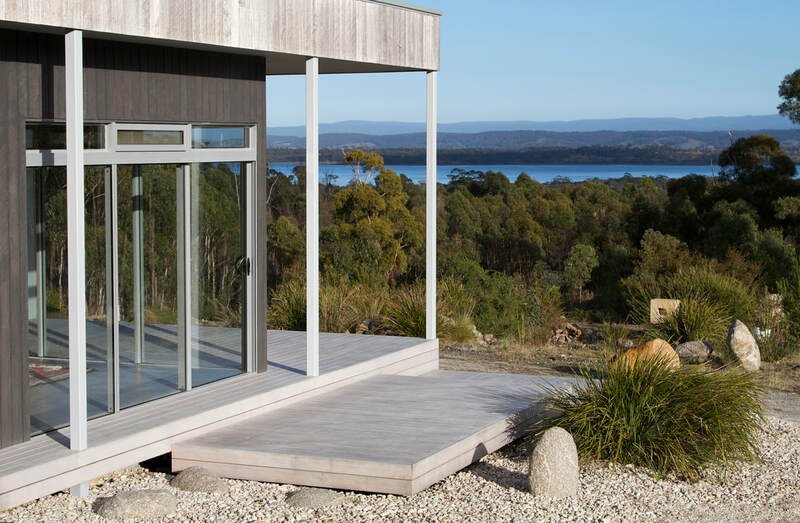 Aplite House welcomes guests to enjoy a 200-acre private property in an architectural solar-passive, solar-powered home built from Tasmanian materials. 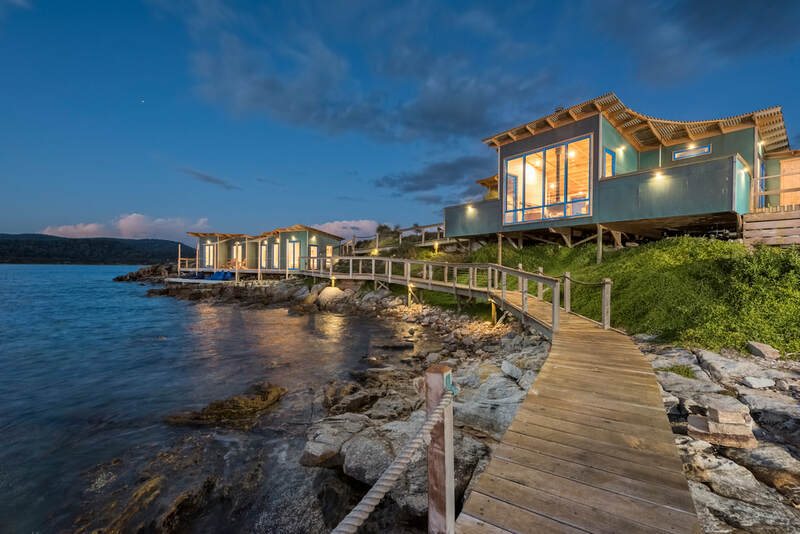 The property is located at Friendly Beaches and fringes the iconic Freycinet National Park. Inside, the house presents work by Tasmanian artists. Great care has been taken to showcase Tasmania. The size and location of the property enable privacy and tranquility, with easy access to the wonderful natural locations in Freycinet National Park. It's a bush retreat – not the type of place one would expect restaurant-quality fare. But I find the Bay of Fires Bush Retreat is full of surprises. It’s just 10 minutes outside Binalong Bay in Tasmania’s stunning north-east corner. For someone who loves camping, the idea of glamping sounded a fitting experience. The great outdoors minus the hassle. No tent pegs to hammer in, no camp cutlery to forget and no dehydrated fodder to pretend is delish by firelight. As we roll away from the bush retreat I wish we could linger a little longer at this surprising fine restaurant tucked in the bush. But that’s Tasmania. Full of characters and surprises and adventure for those who seek it. 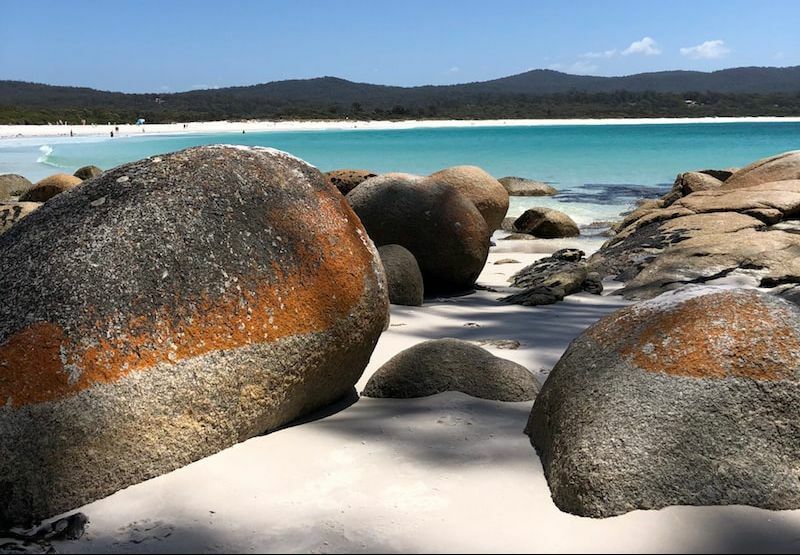 Bicheno has something for everyone – coffee, food, art, wine, ocean, beaches, fishing, walking, national parks, wildlife and Cod Rock Point. Midway between Waubs and Redbill beaches on the foreshore track, no more than 40 metres from the ocean, Cod Rock Point’s three accommodation units enjoy a magical position. Going to sleep with the sound of the waves is always a treat, but waking to the penguins in the garden is altogether different. Nothing beats being so close to the ocean you can smell it – that’s the Cod Rock experience. 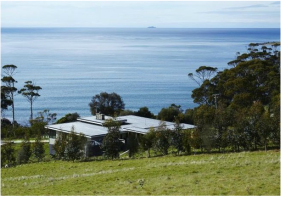 Dragonfly Lodge is an award-winning luxury holiday home only 90 minutes from both Hobart and Launceston. The Lodge sleeps six guests in three king bedrooms, all with their own ensuite. 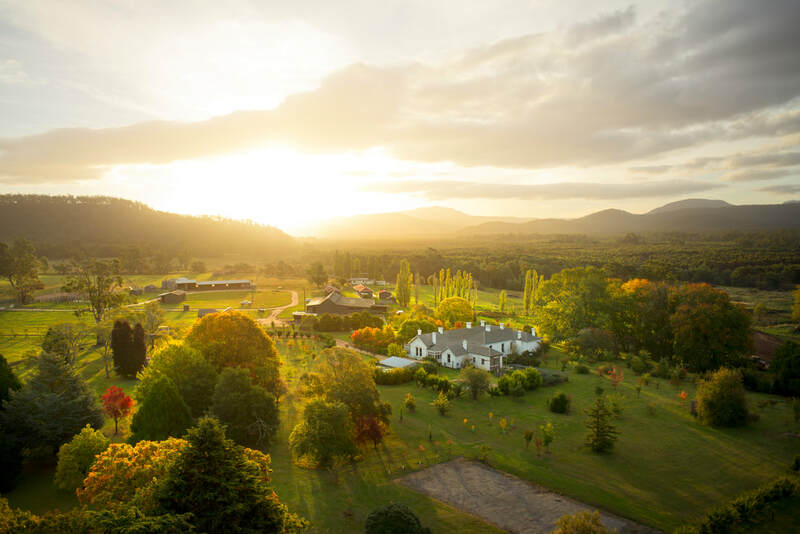 For a relaxing escape or maybe an adventure holiday, Dragonfly Lodge provides a luxurious base from which to explore Tasmania’s renowned east coast. The ultimate reward after climbing to the Wineglass Bay lookout is sitting on the balcony of one of Australia’s most spectacular eco-lodges and enjoying a glass of well-earned local sparkling wine. Freycinet Lodge is located within Freycinet National Park and is open to all visitors, whether it’s for a quick visit to take in the views over Great Oyster Bay, lunch in Richardson’s Bistro or to stay for a relaxing night in a secluded cabin. 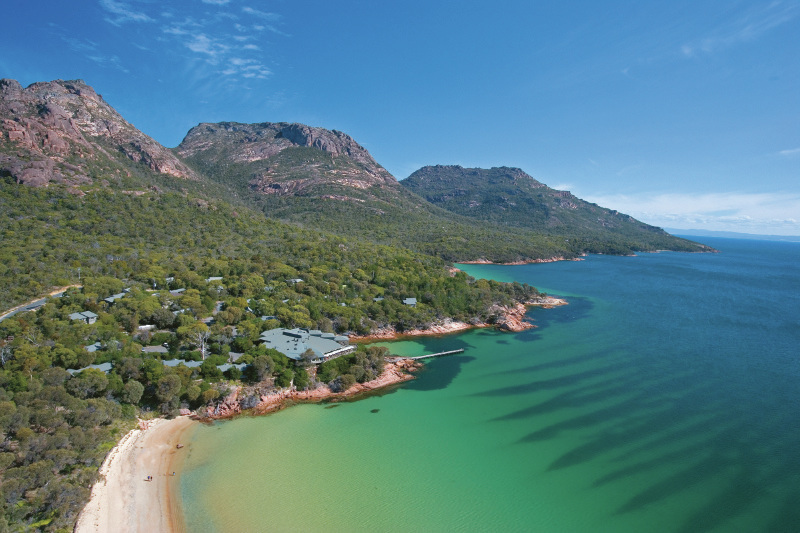 ​Your own private island for up to 10 guests, nestled within the stunning Freycinet National Park. Authentic and stylish, this off-grid experience enables you to connect with nature and unwind with family and friends. Whether it is snorkelling for abalone, crayfish, mussels and sea urchins, spotting whales, dolphins and seals, or meeting the resident penguins as they come home to nest at night, a stay on the island is something you will never forget. They’re just a five-minute water taxi ride from Coles Bay and everything the area has to offer, so you can be as active as you like during your stay. ​Imagine having unique access to all things wild and cultured about Tasmania, on a farm in the heart of the island, surrounded by forest, bounded by rivers and mountains. Private, beautiful and authentic. Inspired by food and uninterrupted landscapes, it’s a place too good not to share. Welcome to The Creech – it’s how Tassie should be done. Twamley Farm is an historic working farm just outside the village of Buckland offering boutique accommodation and a country venue for small celebrations or a long, slow lunch with friends. The farm is owned and operated by the Turvey family, who have been living and working here since 1874. 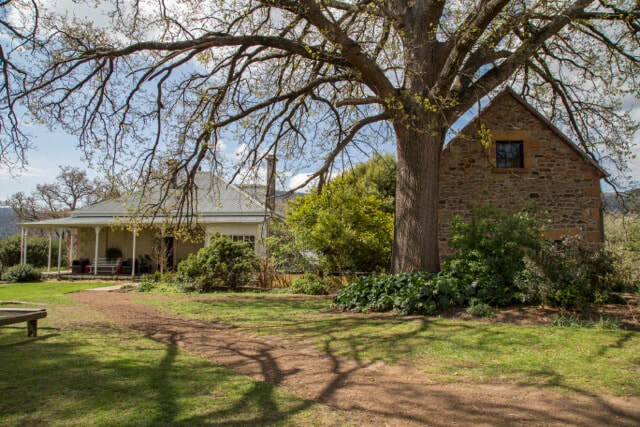 The accommodation includes a unique 1840 converted stable, a fully self-contained two-storey sandstone building overlooking the surrounding hills, nestled underneath a canopy of century-old English oaks. It is a perfect country getaway and base from which to explore nearby Maria Island.